The Munros are the mountains in Scotland over 3000 feet high. 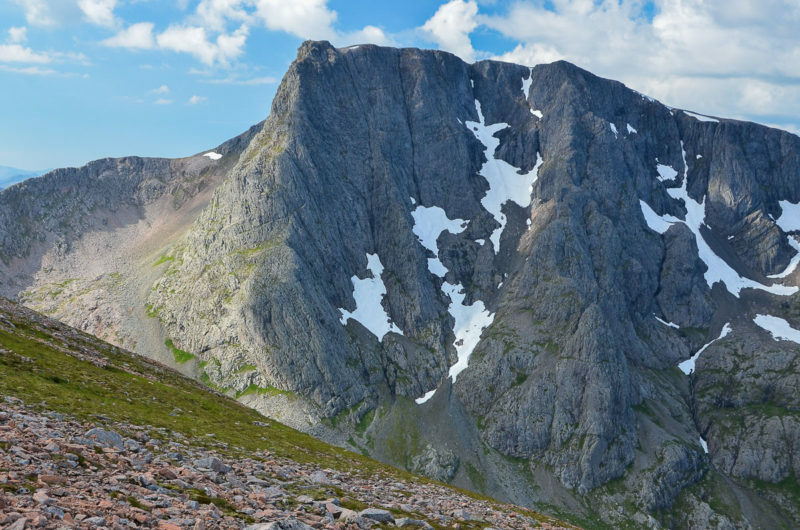 First catalogued by Sir Hugh Munro in 1891, the list has been revised ever since to keep up to date with the latest height measurements, and opinions on which summits count as separate mountains and which are just subsidiary tops. Climbing all 282 summits is a long-term objective of many hillwakers. 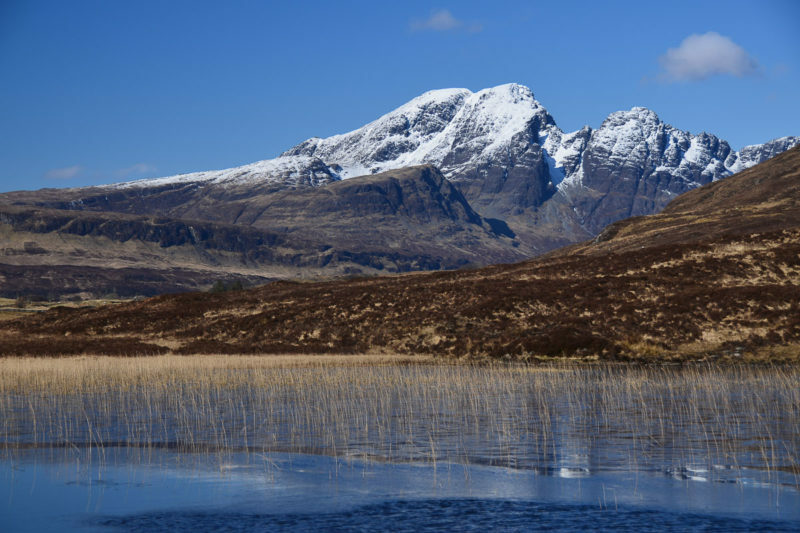 Here’s our favourite 10 Munros – listed alphabetically – but don’t forget Scotland has scores of magnificent mountains which don’t quite make the ‘magic’ height of 3000 feet and most hillwalkers will have their own favorites that are special to them. 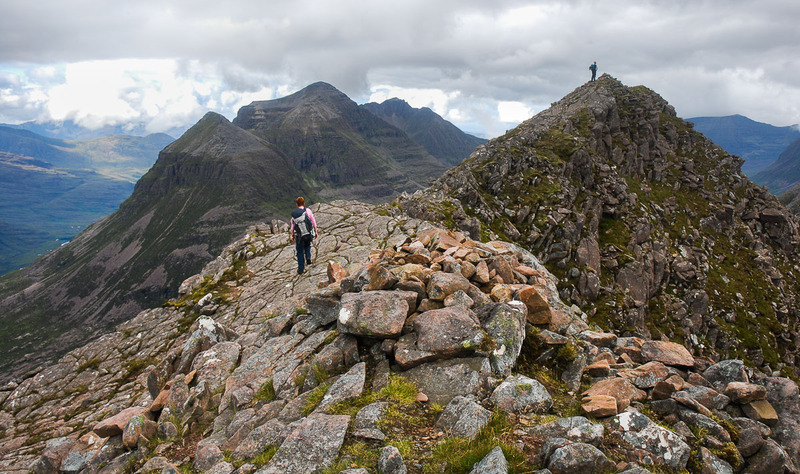 Like several others on this list, An Teallach is really two Munros – the higher Bidean a’ Ghlas Thuill, and Sgurr Fiona – seen to the right of the famed Corrag Buidhe Pinnacles and Lord Berkeley’s Seat in this photo. 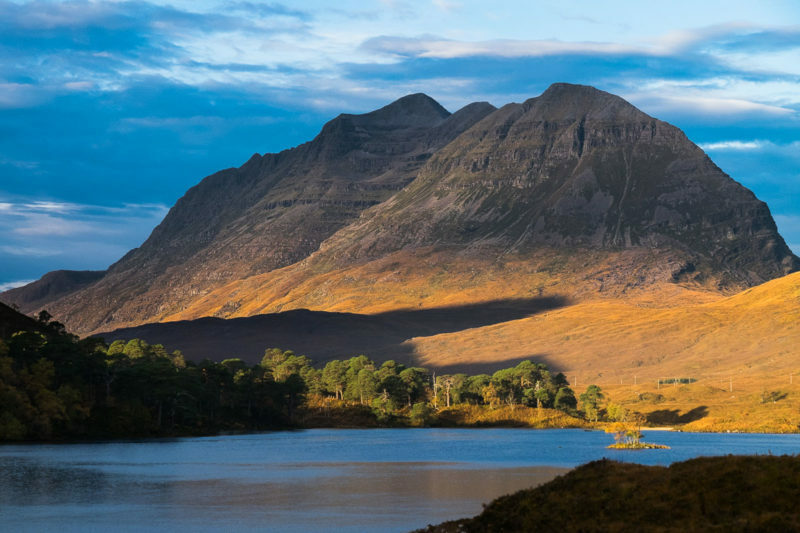 From whichever way you look at it – whether from up on the ridge, down in the dramatic Coire Toll an Lochain, or more distantly from the Destitution Road, An Teallach must rank as one of the very finest mountains in Scotland. It may be Britain’s highest mountain, but does it deserve its place as one of the finest Munros? We think so… whilst the ascent of Ben Nevis by the Mountain Track may be a long, not-particularly-distinguished pull, for the experienced, Ben Nevis has so much more to offer. 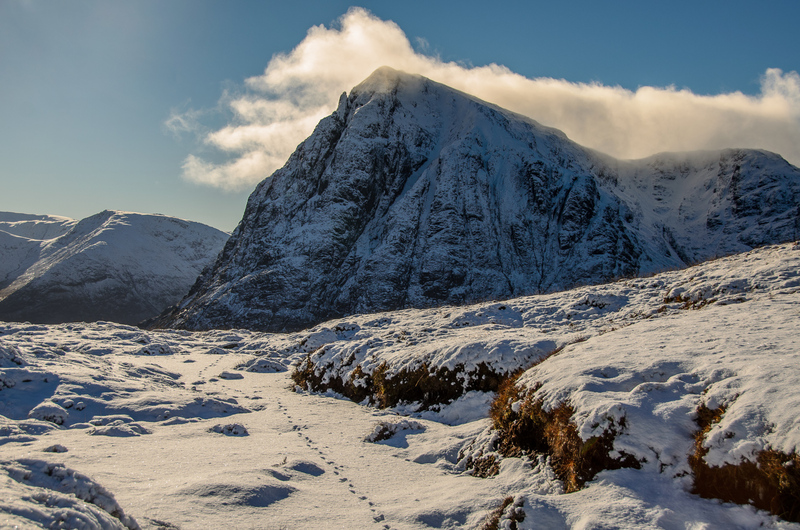 Its magnificent North Face is perhaps the greatest climbing ground in the country, and the approach along the Carn Mor Dearg Arete invests the mountain with an almost Alpine grandeur. Bla Bheinn stands apart from the rest of the Black Cuillin, rising very grandly above Loch Slapin – though the hidden side above Srath na Creitheach is equally impressive. Its position makes it an incredible viewpoint, both over the main Cuillin Ridge and a plethora of islands dotting the sea. The Cairngorms are quite different to the other mountains on this list. Though the summits themselves are mostly rounded and sweeping, they combine to make a vast and unique landscape. 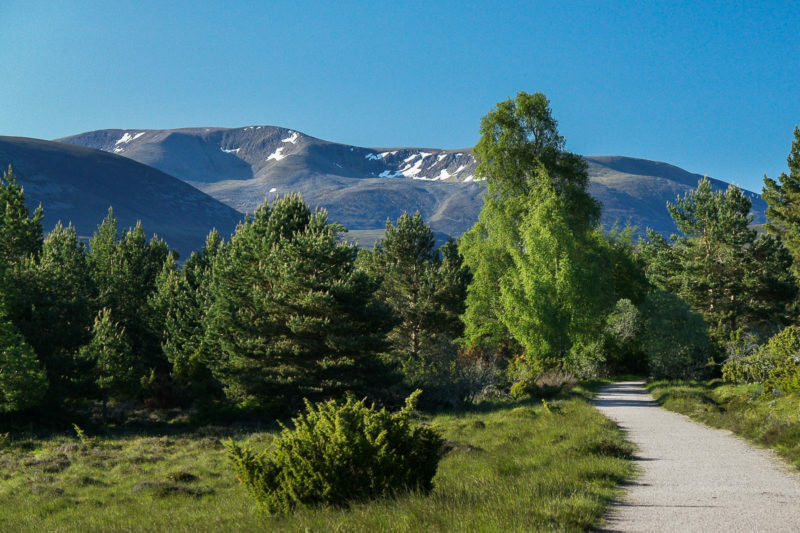 Rising up from the remnants of our ancient Caledonian pinewoods in the straths and glens, the Cairngorms have a majesty and atmosphere all their own, with superb wildlife, and an amazing array of dramatic, rocky corries that bite into their vast plateau. We’ve chosen Braeriach – the third highest mountain in the UK – for this list, protected by a long approach walk through the closest we have to a natural tree line. It is also the start of a fabulous traverse to Cairn Toul. Buachaille Etive Mor is the great herdsman of Glen Etive, a twin when seen from that glen to its neighbour Buachaille Etive Beag. It is from the Rannoch Moor side, however, at the head of Glen Coe, that the mountain reigns supreme with its famed pyramidal appearance. Affectionately known to many climbers simply as the Bookle, this pair of Munros must be the most photographed of Scottish mountains. 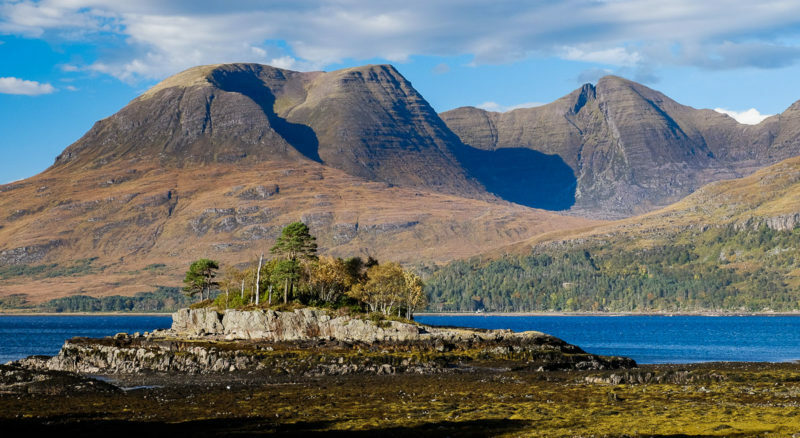 Ladhar Bheinn lies in Knoydart, a remote and spectacularly rugged area of the Highlands that has no road access to its main settlement, Inverie. All the Munros here provide very demanding walking and superb views over mountain and sea. But it is Ladhar Bheinn – towering above Barrisdale Bay on the most beautiful of sea lochs, Loch Huorn – that ranks as the finest. 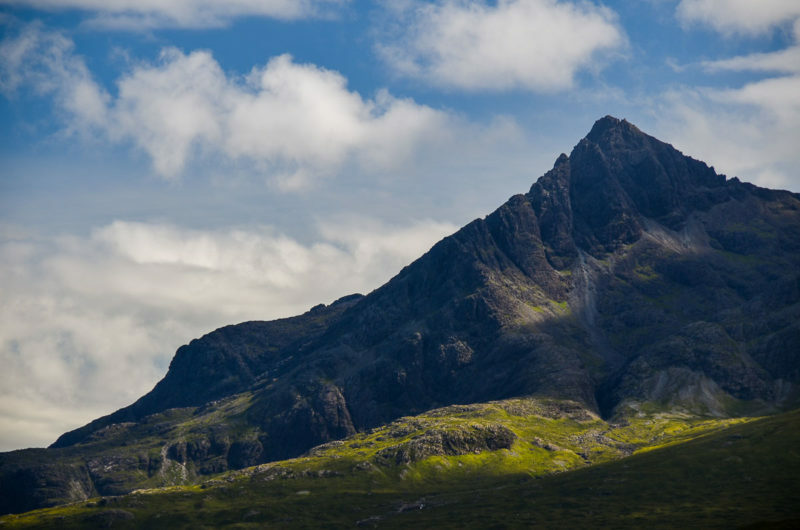 Whilst Sgurr Alasdair may be the highest and the Inaccessible Pinnacle the hardest of the Cuillin Munros, many would regard Sgurr nan Gillean as being the finest peak on Skye. Even the easiest ascent via the southeast ridge is a fairly serious scramble – the other two ridges edging into the realm of rock climbing. The mountain appears dramatic enough from Sligachan, but this actually conceals the mountain’s finest features. It is only on a closer visit to Coire a Bhasteir that the scale and grandeur of the spectacular Pinnacle Ridge reveals Sgurr nan Gillean’s true stature. 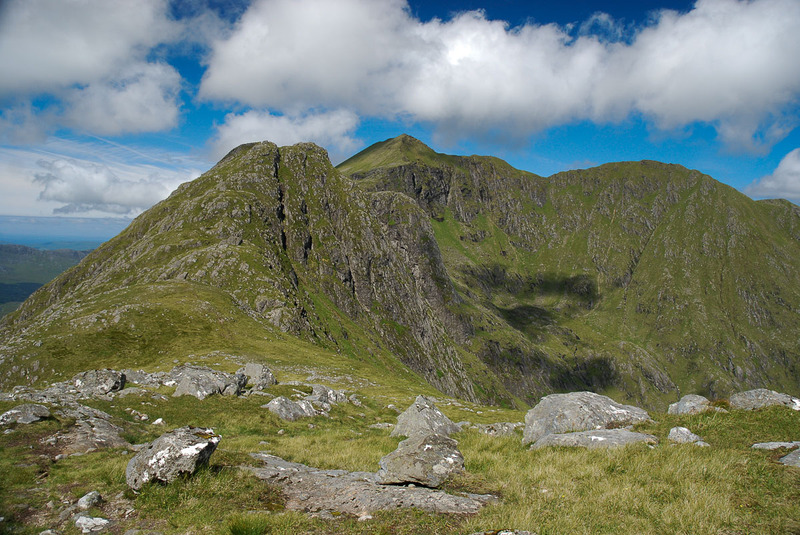 For more info on the history of the Munros, or info on how to record your ascents on Walkhighlands and find detailed guides for every summit, visit our page on Munro-bagging.